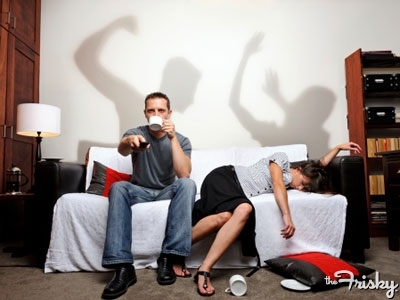 Domestic Violence can also be known as domestic abuse, corporal injury, spousal battery. A lot of these situations can get out of control and run rampant and is dependent on a he-said/ she-said basis which can be easily swayed by emotions. When these accusations come out, then a lot of the factual evidence can out the window. In order to be validly charged for domestic violence you have to inflict injury on your current/former spouse, the person you live with, or the mother/father of your child. You had to be willing to inflict injury. And that injury must have concluded in an actual see-able injury such as bruises, scratches, or cuts . Domestic violence is considered a wobbler crime. This means that it can swing as either a misdemeanor or a felony. In which way it swings depends on the criminal history, and the extent of the injuries and the facts of the case. If convicted of a misdemeanor then it will include a three year informal probation. Up to one year in county jail. A max of $6,000 fine. reimbursement to the victim. A 10 year restraining order will be issued. A protective order for the victim that protects them from further violent acts. You must also complete a years worth of a batterer’s classes that meet two hours a week. And finally you must complete a community service program. These can be substantially worse if you had a prior experience within 7 years of each incident. If convicted as a felony, then all the above is included with addition to a formal probation. Up to four years in prison. Additional years depending on the victim’s injury. A strike on your Three Strikes Law. Again if any earlier experience within 7 years, then the charges worsen. If you were falsely accused of a domestic violence crime, then it is important to get an attorney that will listen to your case and reduce your charges.